Not surprisingly, one of the beautiful things about owning an Android powered smartphone is that handset owners are treated to free turn-by-turn navigation with Google Maps – and it helps that the experience has been refined with each update. On the other hand, Windows Phone users have been starving for something similar on their end to perfectly round out the experience. Thankfully, Nokia’s upcoming beauties in the Lumia 710 and 800, have something called Nokia Drive, which essentially brings that deep navigational experience that Windows Phone users desperately desire. Specific only to Nokia’s Windows Phone smartphones, the application is a full-fledged navigational app that offers free voice guidance instructions to get you to your destination. Indeed, it offers all of the essentials we typically find with other similar apps, like satellite and night views, but what’s nice is that it also combines 3D maps as well – but it’s only limited to major cities and landmarks. 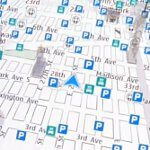 Nevertheless, it’s shaping up to be a tasteful offering for Windows Phone users since you can even download maps by country or region – thus, enabling you to still get directions offline. So yeah, rather than living with the Bing Maps experience, Nokia Drive fully satisfies those navigational desires that longtime users have been demanding. Check out the demonstration of Nokia Drive we managed to see running on the recently announced Nokia Lumia 800. Nokia Drive look great! However, it seems to be a bit choppy.